Hello there friends. Welcome back -- two days in a row! I'm on a roll! 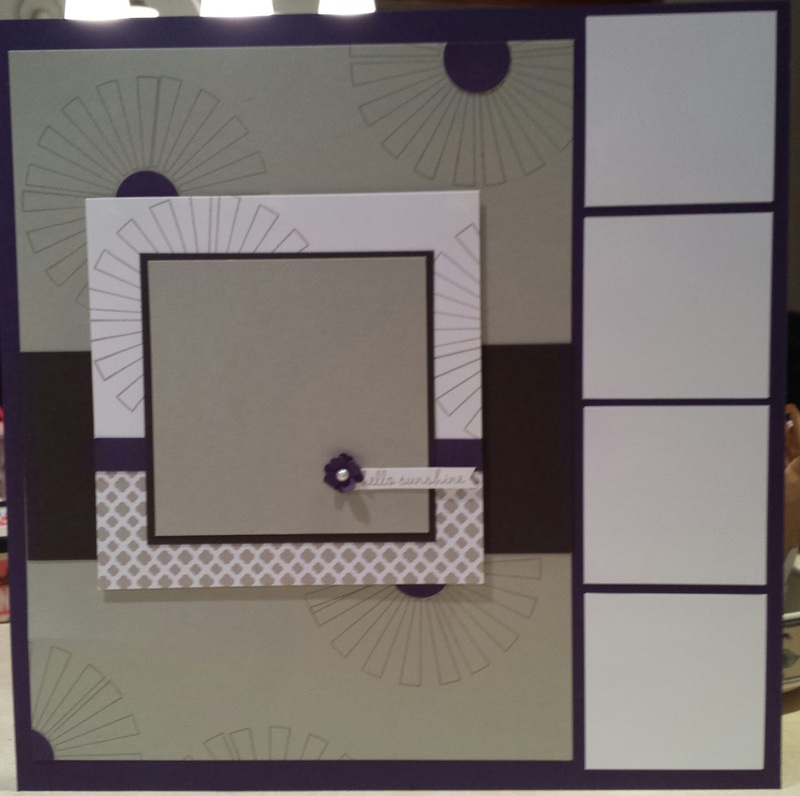 I wanted to share with you a Progressive Scrapbooking page that I did for a private class this winter. 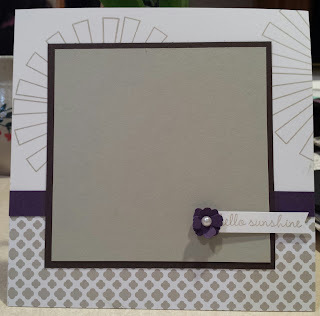 I haven't shared one of these in a while and it's still one of my favorite tools for facing the blank 12 x 12 scrapbook page. 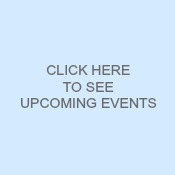 So after I became a Stampin' Up demonstrator NINE years ago (! 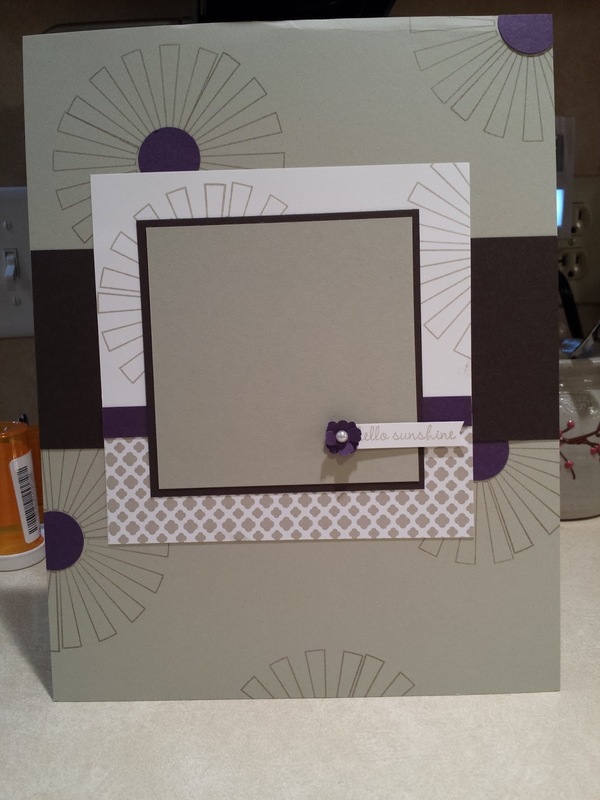 ), I started doing a lot more cards. That meant when I started facing the blank 12x12 page I often would get stumped. So one of the ways I counter that problem is to work in a progressive nature -- I start by designing a 6x6 page (which is closer to the size of a card and that way a little less intimidating). 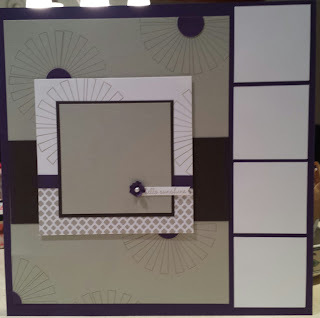 So the photo to the left is a 6x6 page I created using the Something Borrowed Designer Series Paper from the 2015 Occasions Catalog. I LOVE this paper -- it's so versatile for every theme/topic/occasion. I also used one of my go-to scrapbooking sets these days -- So You. Next, I make that 6x6 design the focus of an 8.5 x 11 page. You can see that to the right. 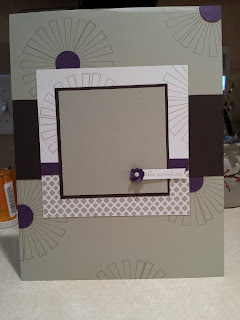 So for this page I stamped the same "starburst" image in the background of the page and put a small 1" circle of Elegant Eggplant in the center. Then "grounded" the 6x6 page with a strip of Early Espresso cardstock. You would have room down at the bottom of this page to put a few small photos -- probably around 2x2 for size. 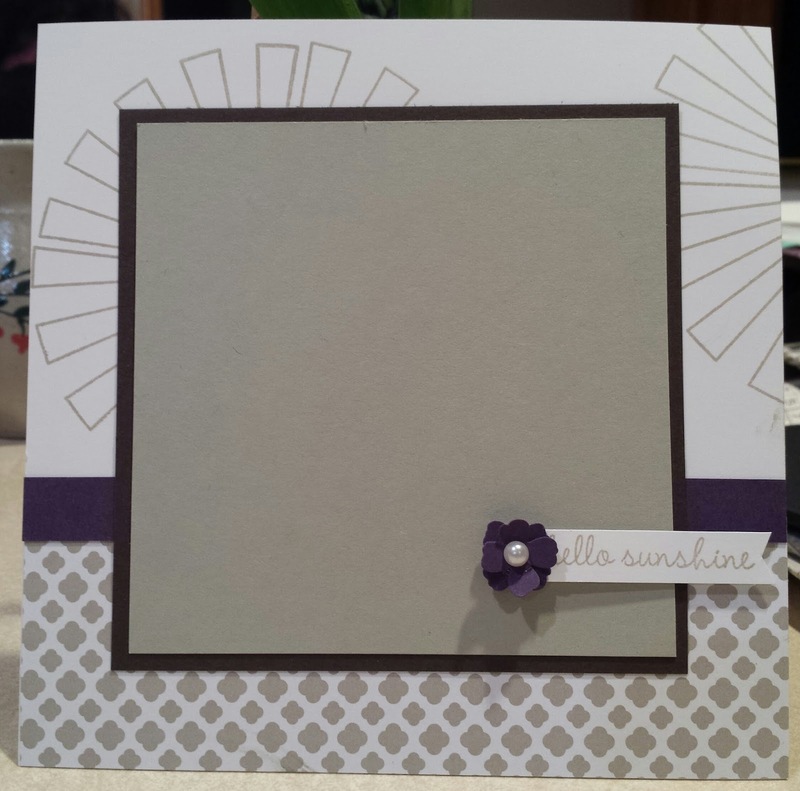 Finally, I take this 8.5x11 design and use it as the focal point on a 12x12 page. So for this page I put it on a 12x12 sheet of Elegant Eggplant. I kept the 8.5 x 11 page to the left and then put a strip of small white squares along the right side to use as photo mats. So next time you're facing the blank page consider trying this "progressive scrapbooking" method. AND if you like any of these products (particularly the stamp set or designer series paper) be sure to get it today as it is the last day to order from the 2015 Occasions Catalog. 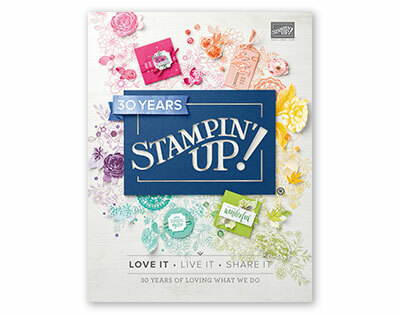 Okay... so just one more day for the 2014-2015 Idea Book and Catalog and the Occasions catalog -- Be sure to check out www.jenpitta.stampinup.net to find the items you NEED before the new catalog goes live tomorrow!! And if you'd like a hard copy of the new catalog let me know!